It’s Spring Break season! Whether you are heading for warmer climates or road-tripping somewhere nearby, it can be difficult to maintain your healthy routine while on vacation. For people with diabetes, this may seem even more challenging. We chose a few travel situations that can throw off anyone’s diet, exercise or rest routines, and created a few tips for people with diabetes who are traveling. Airports, gas stations and restaurants may not offer food options that are healthy and affordable. It’s also easier to succumb to the temptation of junk food when you are a tired, hungry traveler. 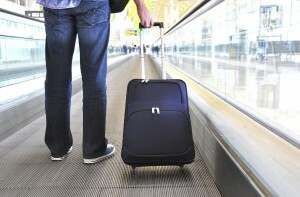 Carry fresh foods with you – even through airport screening. Many people don’t think you can, but you are allowed. The Transportation Security Administration website is a great resource for how to bring food on a plane. Ask for vegetables or vegetarian options at restaurants. Leave off salad toppings/condiments;they can add extra calories and sugar you don’t need. Be careful if you splurge. If you’re not used to high fat or fried foods, you may get an upset stomach. Check wait times for restaurants. Keep snacks on hand just in case you have an unexpected meal delay. Research what foods are common where you’re going. The MyFitnessPal website or app can be a great resource if you’re not sure about what is in a particular food. If you’re going to a place where English is not widely spoken, learn a few health-related words in the local language – sugar, doctor, hospital, etc. Take plenty of supplies. Even if you can buy supplies, they may not be the same as what you have at home. For example, you may be able to get insulin, but it may not be the same strength. Check with your health insurance provider to see if they participate in Global Assist, a service that can help you find a physician or pharmacy wherever you are in the world. Long journeys by air or road mean sitting still for hours at a time. People with diabetes are more prone to develop blood clots in their legs than others. Flights or drives of 8-10 hours or longer pose the highest risk for clots. Therefore, it’s important to keep your legs moving enough. The American Society of Hematology recommends avoiding alcohol the day before and of travel, drinking plenty of water, and extending your legs as straight as possible while seated (keep carry-on luggage in overhead bins and don’t cross your legs). You may also wear compression stockings. If you’re going somewhere on a warm day, you may need to take your insulin in a cooler. Amusement parks, water parks and sports arenas may have rules about coolers. Check ahead to see if coolers are allowed. If they aren’t, call the facility to find out how you can safely transport your insulin into the facility. Always have all your supplies clearly labeled. When flying, NEVER check a bag with insulin in it because insulin gets too cold in the belly of the plane where bags are stored (and there’s the risk of lost luggage). Visit the American Diabetes Association website for information about how to prepare your supplies to go through security checkpoints. The excitement of traveling is experiencing new places, foods and cultures. 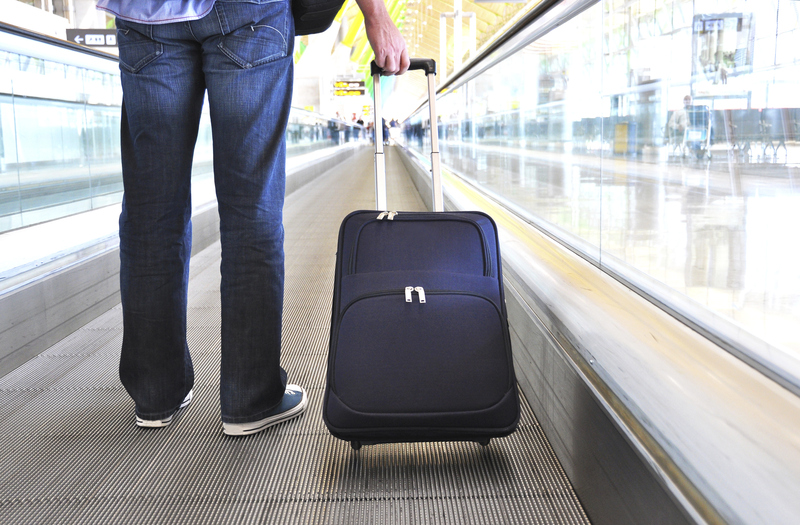 People with diabetes can travel safely with a little extra planning and preparation. Have a sense of wanderlust but have more questions? Check out Memorial’s Diabetes Services for information about living with diabetes. Also, Memorial’s Weight Loss and Wellness Center hosts a Support Group that meets the first Tuesday every month. On May 5, the group will be discussing “Being Healthy While Traveling.” Anyone interested in the topic is welcome to attend.